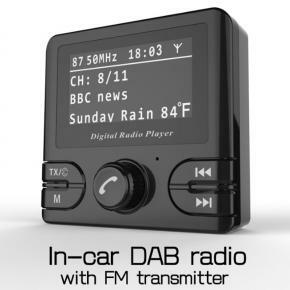 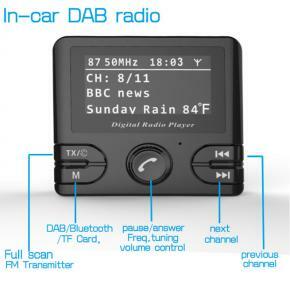 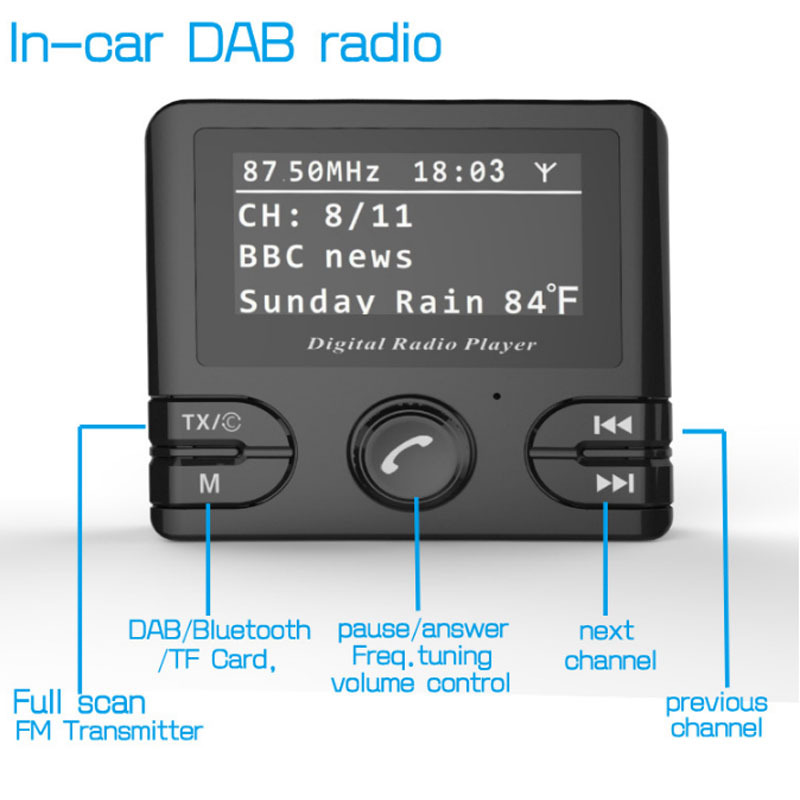 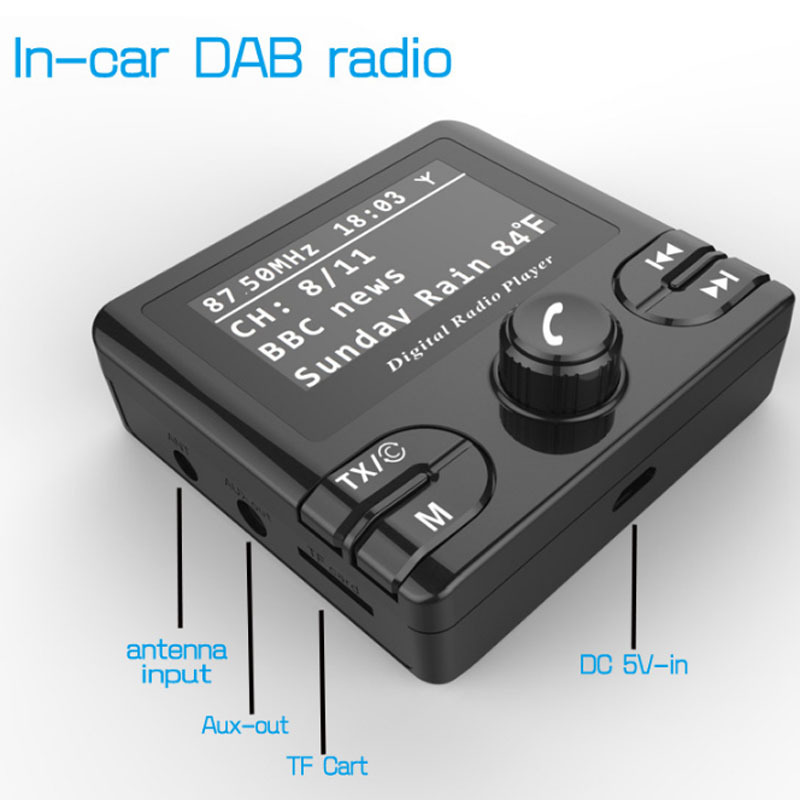 Wireless transmission for DAB+/DAB radio to your existing car radio amplifier by FM transmission technology. 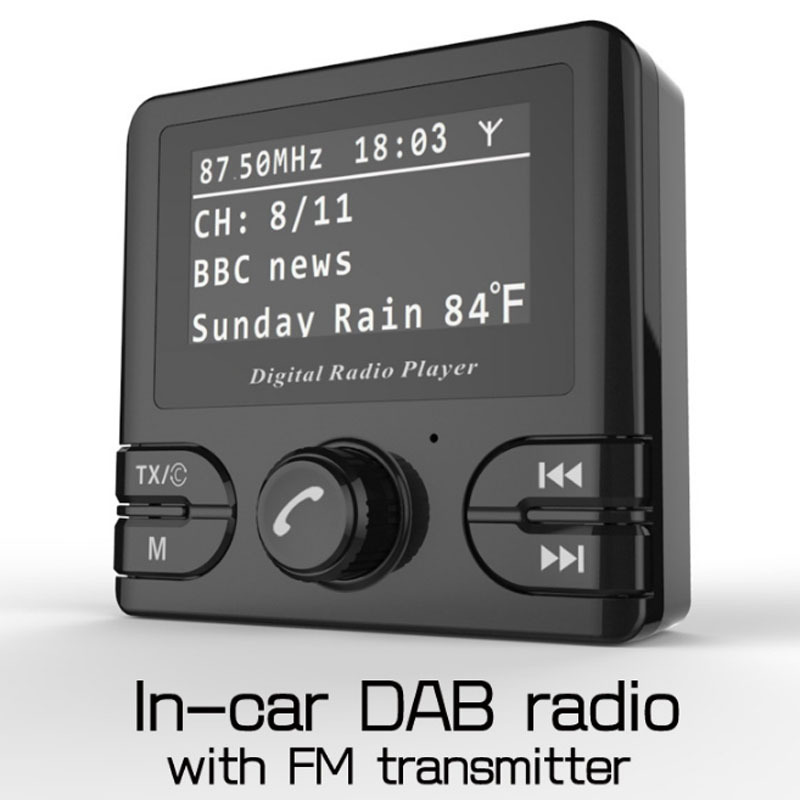 Service Following Function & Quick SCAN to search the next available free DAB/ DAB+ frequency. Line-out function, to get the best sound quality through the connecting to Car's Aux-in. 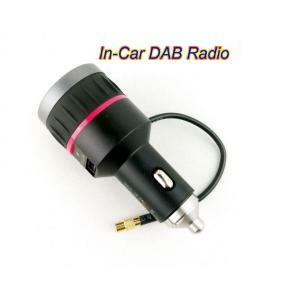 Draws power from the car's cigarette lighter. 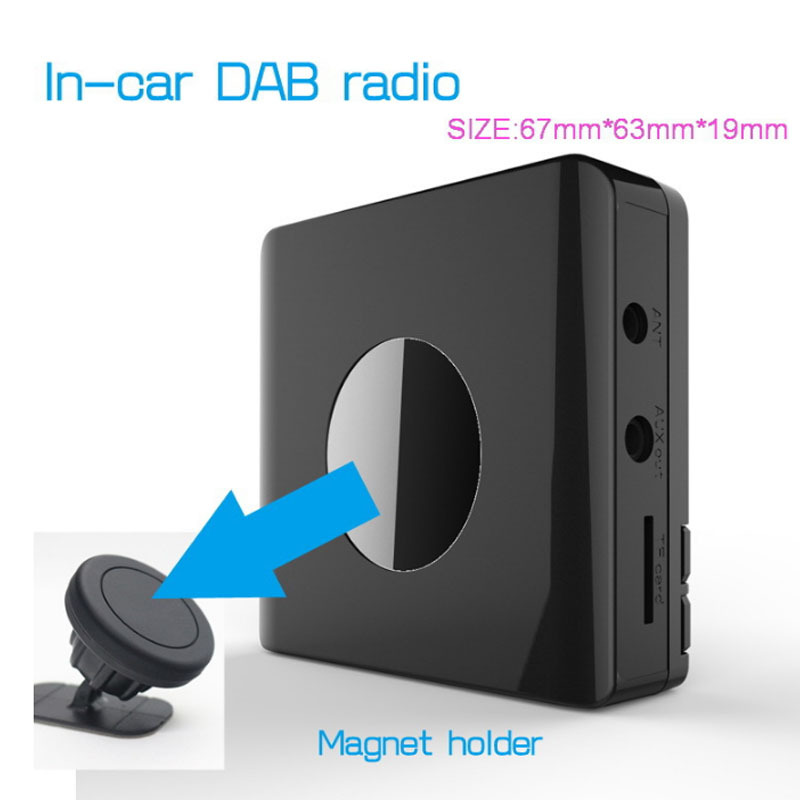 With magnet stand and / or Vent clip easy to install and adjust the position of the devices. 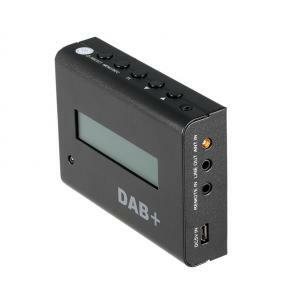 2.Frequency range: DAB Band III 174-240MHz. 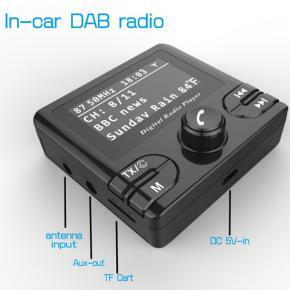 4.3.5mm stereo Line output connecting to car stereo aux-in . 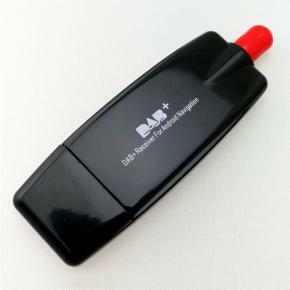 7.Include car-use film active antenna(MCX 5v Line-3m).